I’ve been writing about, participating in, and talking about blogger outreach for years. My favorite posts and topics of conversation revolve around actual examples or case studies of blogger outreach done well. The other day, I published a definitive guide to blogger outreach in order to make sure marketers of all levels have a good foundation for this very effective influencer marketing strategy. To complete that guide, I want to provide a wrap up of my favorite blogger outreach examples from the past year. Enjoy and be ready to be inspired, because there are some very creative marketing teams floating around in the digital world. The following four examples are both creative and recognizable brands. They make great talking points or case studies when talking to your boss, client, or team about blogger outreach that works. If you follow my content, you’ve definitely heard of how hard Lorna Jane’s digital team rocks blogger outreach. They have mastered the art of personalized pitching. I also love that Lorna Jane reaches out to blogs authentically and allows for an organic relationship to build. When they pitch bloggers, they offer them something for free from their activewear line and see where the relationship goes from there. This way, Lorna Jane is only scoring authentic shout-outs and slowly building a network of passionate brand advocates. Florida Marriott is a fantastic example of great blogger outreach because they really emphasize the value of quality over quantity. By working with just eight bloggers, they were able to promote their chain of Florida hotels by creating personalized trips for each blogger. The bloggers then shared their experience with their own networks, and through these bloggers, Marriott reached over one million UMVs. Read the complete run-down on what they did here! Want to reach and work with moms as influencers for your brand? Look no further than this Huggies case study. To shorten a very long and detailed inside look, Huggies chose to reach “soon to be moms” through nostalgia and a little tug on the heart strings. They teamed up with women and created real content around the story of a birth and long lost sisters. Because of this authentic video that went viral, Huggies achieved a goal that all marketers should have: be on the minds of your consumers before they need you. The most important and effective use of blogger outreach, in my opinion, is to build a brand advocate network. Having a network of ongoing relationships with people who talk about your brand in a sincere manner is the most valuable form of word of mouth marketing your brand will get . That’s why I want to highlight Bhakti Chai in this list of case studies. This tea company is my go-to example when it comes to recruiting a network of opt-in brand advocates. Bhakti has a form on their homepage where passionate brand fans can apply to be in their ambassador network. Applicants have to explain things like why they’re passionate about the brand and what their social channels are. They’re even asked to include a selfie of themselves enjoying a Bhakti beverage! Check out this case study to see how Bhakti fosters such an exemplary ambassador network. 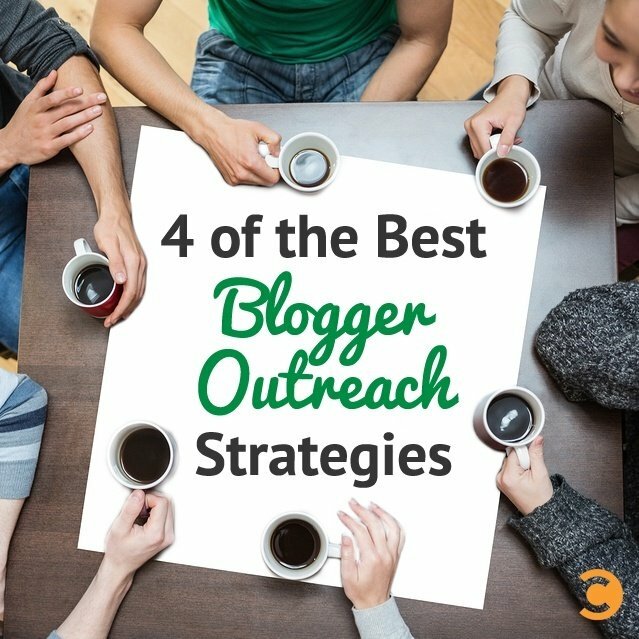 What are the best examples you’ve seen of blogger outreach in action?